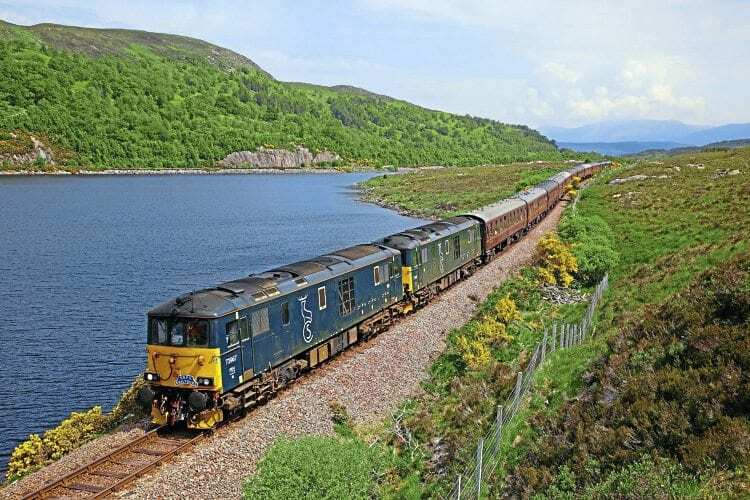 ON A weekend of locomotives in unusual places, the Scottish Railway Preservation Society (SRPS) took four former Southern Region Class 73s to Kyle of Lochalsh – the first time the electro-diesels have visited the West Coast port. GBRf/Caledonian Sleeper Nos. 73967 and 73966 hauled the train north early on June 9 from Paisley Gilmour Street to Inverness via the Highland Main Line. In the Highland capital, Nos. 73968/969 were attached to the train, having worked north on June 8’s sleeper in place of the booked Class 67. The train was worked in top-and-tail formation to save time and avoid a complex run-round procedure at Kyle.